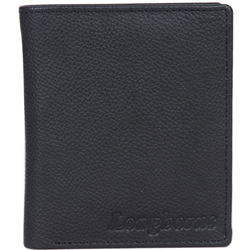 Sweeten your relationships by sending this Stunning Longhorn Gents Leather Wallet to your close ones who deserve your love. The exterior finish of this Wallet is very attractive with 100% Genuine Leather and smooth finish. The interior finish has many Pocket Slots which have ample space to hold all the necessary items.